BECOME A MEMBER of Rusbiz.com B2B portal for free! Members have access to a unique ecosystem of integrated and cost-effective business solutions. Network with like-minded business people. Help others in getting right answers. Use brand new Rusbiz forum to publicize your opinion. "Internet Success Private Site" has everything you need to succeed online! Click here for more information! Interactive Marketing Ezine: Your guide to generating online Success! Essential marketing methods and traffic-generating techniques! Plus: Weekly Free ads! Apart from the fact that e-commerce is growing at the rate of more than 25 percent a year, the use of online features can bring efficiency to virtually every aspect of business process, be it supply chain management or customer support management. But, how can you build an e-commerce business and take advantages of all these great possibilities? After all, you are pretty sure that anything to do with new technology is complicated, time-consuming, and expensive. Believe it or not, this is just a misconception that most business owners have about the Internet technology. The truth is – in order to run a business online and reap profits, like any new effort, you need to do a little homework, have patience and determination, and get going. Take the following steps seriously and in no time you will be able to embrace fascinating world of online business. Getting your product online does not simply mean - having a nice picture and a product narration to go with it. Effective use of the Internet is based on standards. Standards, as you know, are created to facilitate common use of a technology. If you ever imported or exported a product or service, or if you registered your product with some kind of authorities ever; you certainly know that each product falls under certain subcategory according to the classification system that you encountered. Internet is the same thing. Since the emergence of Internet, several classification systems have been developed. If you think long term and would like to use same catalog with multiple e-marketplaces, you should adopt one of the prevailing classification system in the Internet. The best online catalog classification available from my point of view is UNSPSC. For one thing, many prominent e-marketplaces adopted this particular system, which allows you to post your products on multiple e-procurement systems and e-marketplaces. How do you do this? I would suggest you to become a member of one of the e-marketplaces, where you can aggregate your products using some kind of simple wizards or forms. E-marketplaces based on Commerce One’s the largest B2B e-marketplace enabler, have this facility. Our own Rusbiz e-catalog system, which is also based on UNSPSC, also allows you to integrate your products using a very simple but sophisticated form. If you do not have time to do it by your own, you can use the service of a B2B exchange. Rusbiz also provides with similar service. What should be your next step once you have all your products transformed into e-catalog? Naturally, you need to have an online presence to sell the products. There are number of options how to do this. This could be a large geography oriented fairly large horizontal market or a vertical e-marketplace specific to your industry. The membership fees are in most of the cases not so expensive. But many of them charge some percentage on your transactions, usually, from 1 to 3 percent. If you expect big sales volume, you may think this might not be the best choice for you. However, if you get new customers, thanks to your mere presence in an e-marketplace, the percentage that you have to pay on the transaction you should consider as customer acquiring cost. Under any circumstances, it is good to become a member of at least one e-marketplace as you -automatically get exposed to thousands of new prospective customers. There are several ways you can construct an e-commerce site to your need. You can build a website in house by employing developers or you can hire a web development company to do this for you. The advantage is you can have a website with the look, feel and functionality according to your given specification. However, both of these methods could be way costly for a small business. Average cost of building an e-commerce website runs starting from US$ 600 plus hosting and maintenance charges for a miniscule site with limited features to several hundred thousand US Dollars for a powerful e-commerce website. 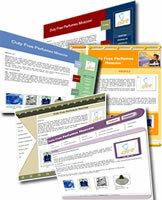 Another option that you have as a small business is to build an e-commerce site from prefabricated templates. While this is affordable and easy, you considerably lose flexibility and customization possibilities in comparison to building a site from scratch. All these above mentioned cases do not allow you to have the potentials and advantages that come with an e-business website integrated with a B2B exchange. Which means, whether you are a business to consumer company with occasional sales to businesses or you are a pure play B2B company, a Web Store merged into an e-marketplace is what you need. A web store from a B2B exchange gives you the best of both worlds. You are having a professional e-commerce site which incorporates all the features that an e-marketplace has to offer. And you build a site from simple and easy to edit templates. Nowshade Kabir is the founder, primary developer and present CEO of Rusbiz.com. A Ph. D. in Information Technology, he has wide experience in Business Consulting, International Trade and Web Marketing. Rusbiz is a Global B2B Emarketplace with solutions to start and run online business. Click here to contact him.